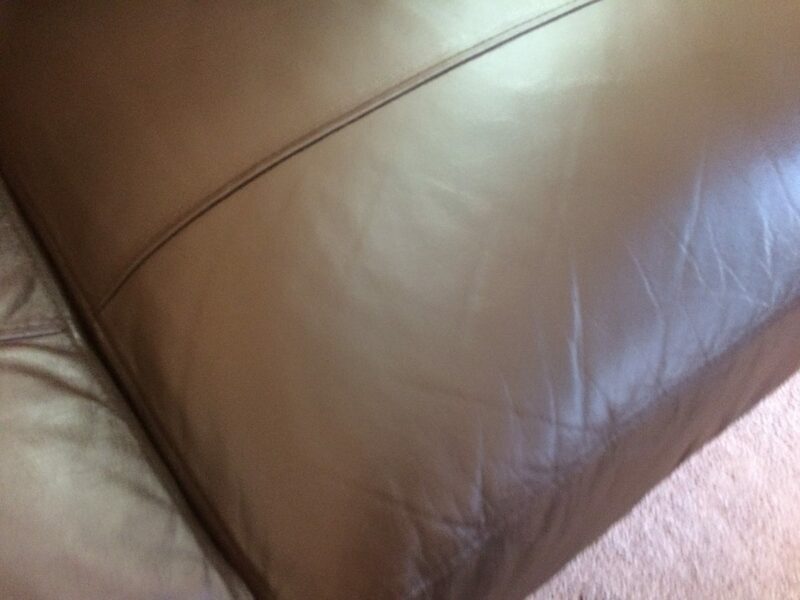 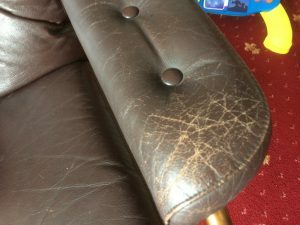 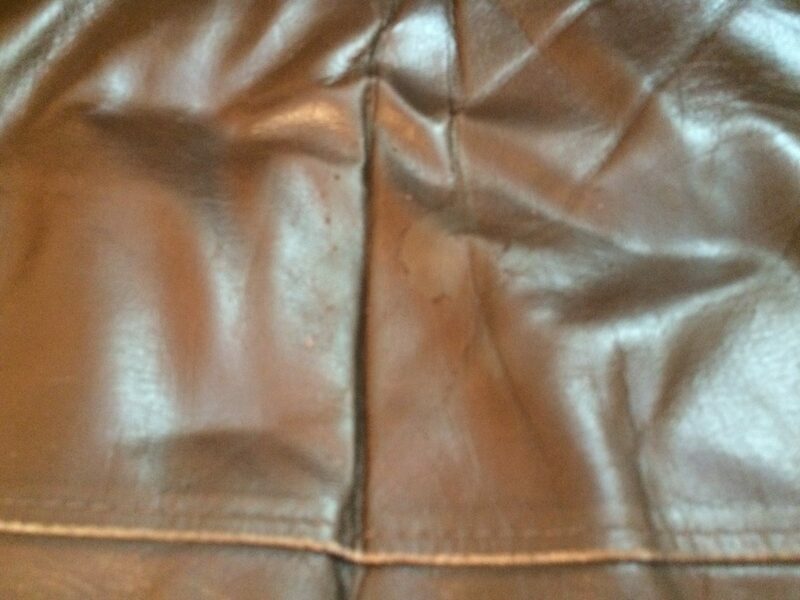 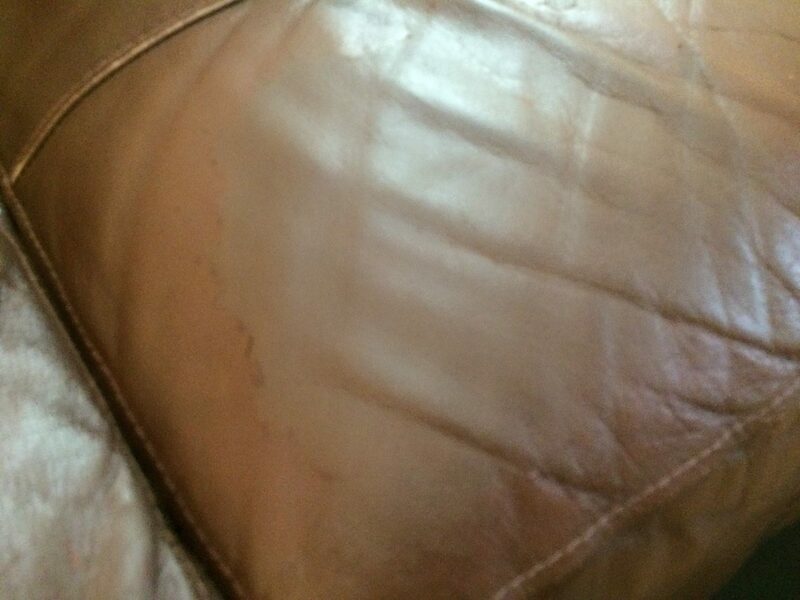 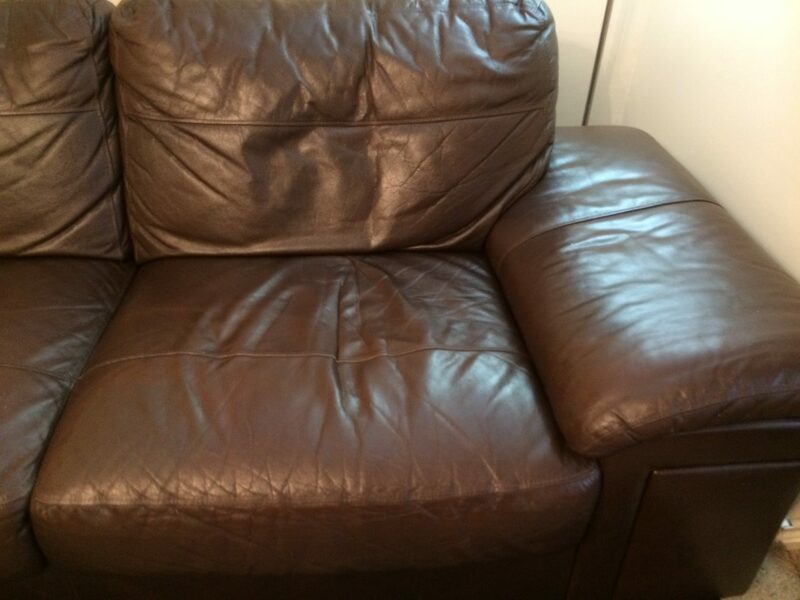 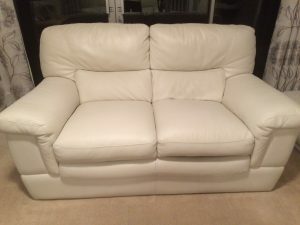 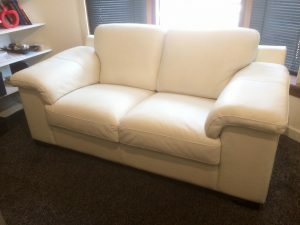 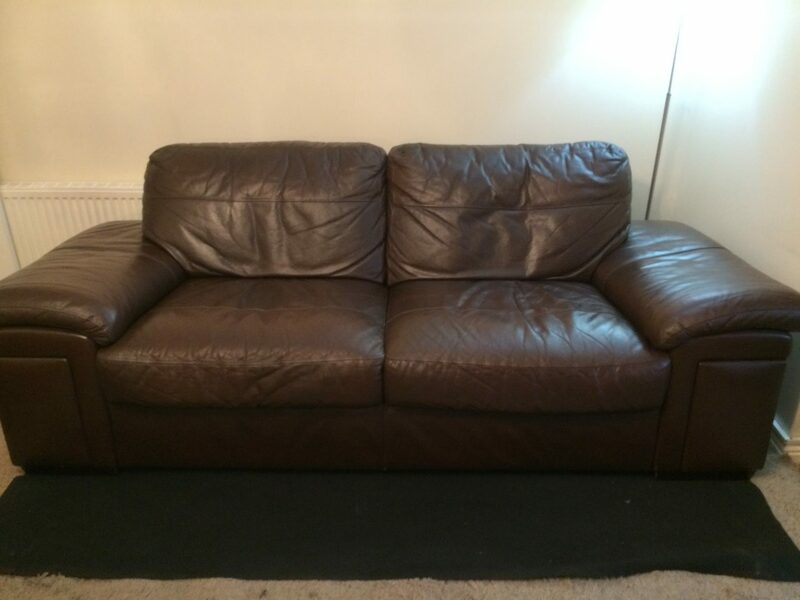 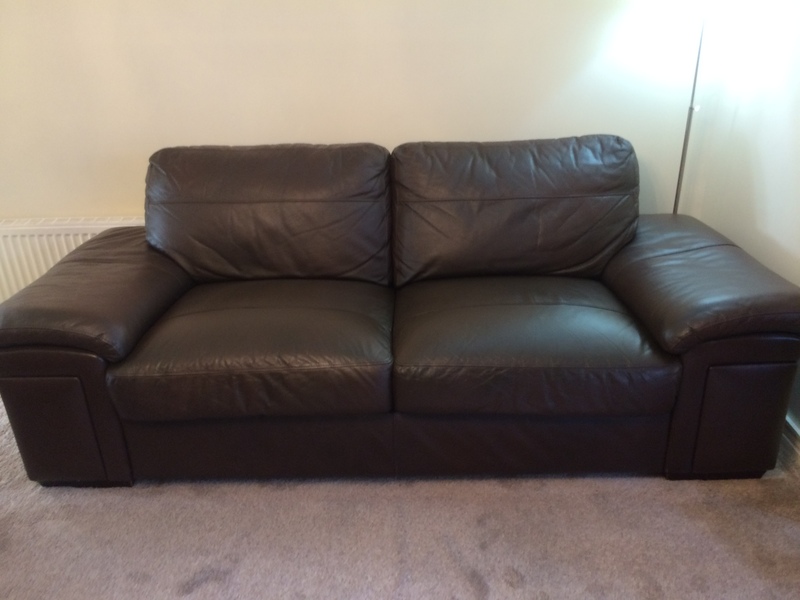 Some before and after pictures of this Leather Sofa Repair and Refurbishment In Crookston, Glasgow. 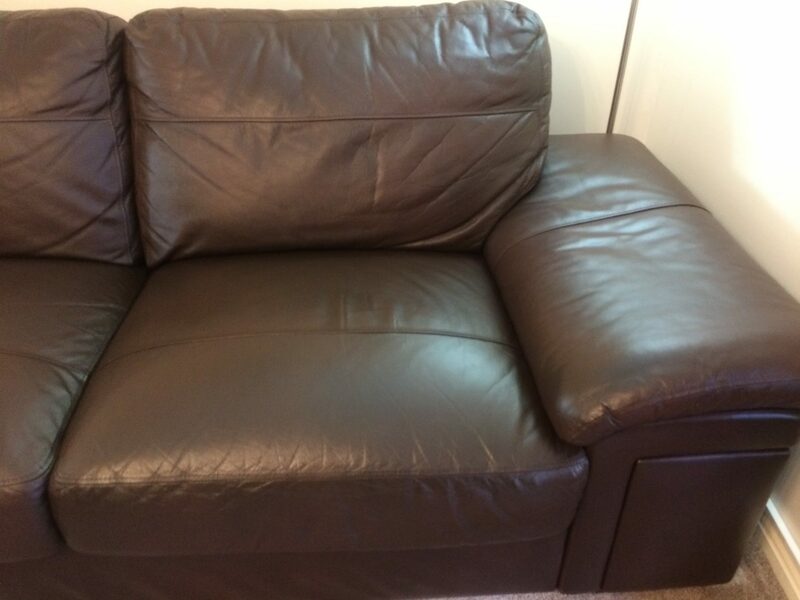 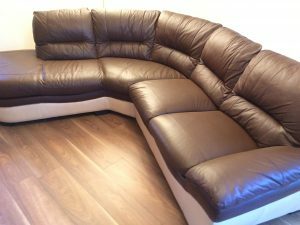 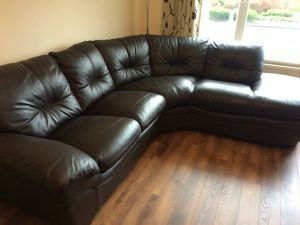 It was a full refurb which included packing some cushions, deep clean, some scuffs marks and peeling leather fixed and new leather top coat to complete this Dark Brown Sofa. 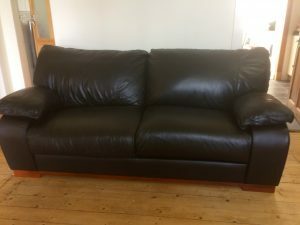 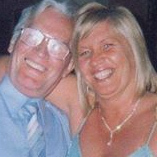 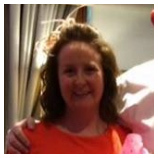 The colour was a bit tricky to get. 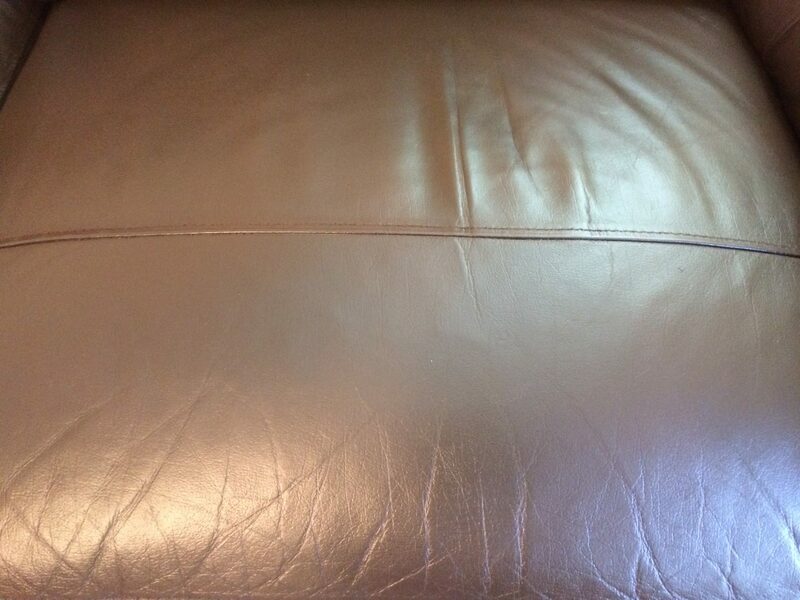 The leather finish had a two tone effect with a deep redy brown underneath and a dark brown on top..The wee sofa is now looking like new, once again.